It's a beautiful hymn, and one I love to sing. Sadly, I stink at putting the concepts into practice. It's not that I don't want to. 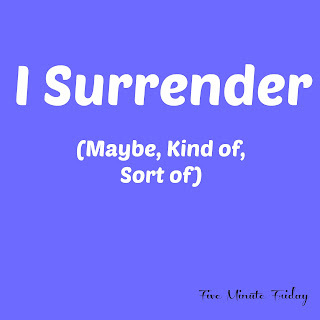 I want to surrender everything to Jesus; I want to give Him everything. But then my control freak tendencies start to take over. "Jesus, I'm struggling with xyz. I'm giving this to You because I know You have my best interest in mind. You have a plan for what I'm going through. BUUUT, what if I did abc, I'm sure that would help this situation out. Sure, self, I'll just take care of this one part (or continue to worry about this one tiny aspect). Jesus, you can have everything else, though. I trust You." So what is supposed to be me surrendering everything to Him winds up with me holding on to a corner, a tidbit, just a tiny piece really. And I know that ultimately that means I'm not giving Him anything - I'm not truly trusting Him to take care of me, to lead me, to care for me. 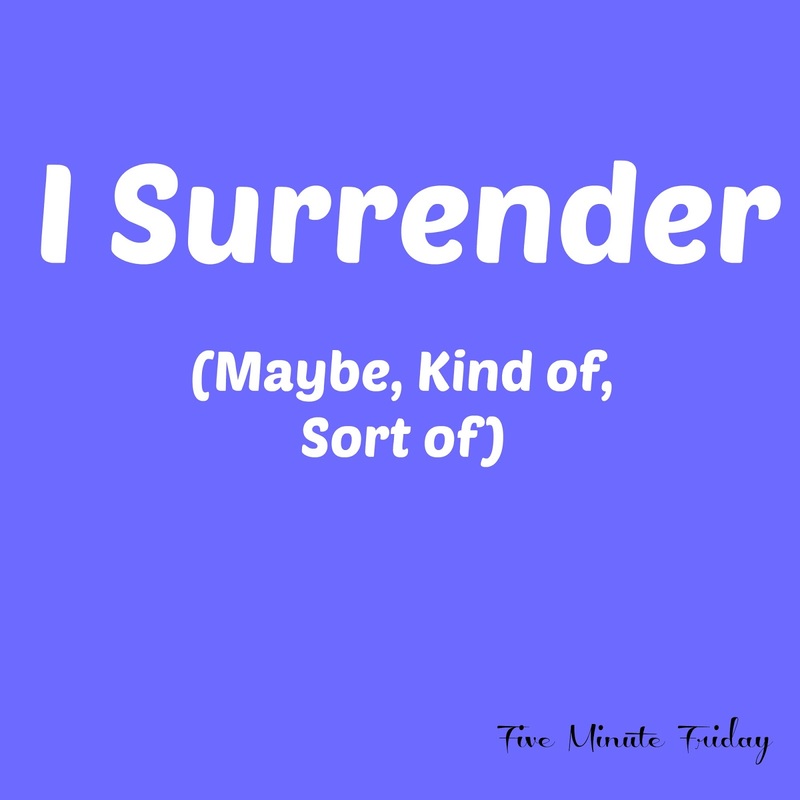 Surrendering it all is a daily struggle for me, but one that I am steadily working on.